Durga Puja festival marks the victory of Goddess Durga over the evil buffalo demon Mahishasura. 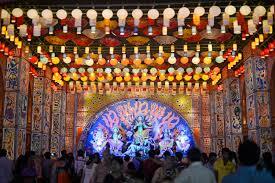 Durga Puja is celebrated in West Bengal, particularly in the city of Kolkata. Its the biggest and most important occasion of the year there.